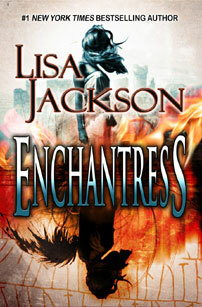 From Lisa Jackon comes ENCHANTRESS, a sweeping romantic saga of the ancient Welsh Border Lands…a beauty with a mysterious power…and the warrior who sought her talents and her love. Garrick Maginnis, Baron of Abergwynn, strode, fierce with rage, into the clearing where the green-eyed maid sat praying. Someone had stolen his son, cruelly snatching the boy away as death had snatched Garrick’s wife at the boy’s birth. Garrick’s last hope was Morgana, rumored to be a sorceress, who know faced him dagger in hand…with a defiant beauty that took his breath away.